Be sure to step outside, gaze upward and experience a rare celestial event on September 27 (September 28 in locations other than North and South America). A full moon, a perigee moon and a total lunar eclipse will coincide for a few hours resulting in a total eclipse of the largest full moon of the year! The most common of the three, of course, is the full moon when the Moon is completely illuminated as seen from Earth. Full moons occur every 29.5 days, which is the length of time it takes to complete one lunar phase cycle. The full moon in September is unique because it’s the Northern Hemisphere’s “Harvest Moon,” the full moon nearest the September equinox. In the Southern Hemisphere it is the first full moon of spring. A perigee moon happens when there’s a Full Moon at the same time as the Moon’s closest approach to Earth. As the Moon moves along its orbit, it moves closer to, and further away from Earth. The point where the Moon is closest is called perigee, and the point where the Moon is furthest away is called apogee. The Moon passes through its perigee and apogee about once a month. When the there is a Full Moon on the same day of the perigee, the scientific term is “perigee moon,” also nicknamed “supermoon.” According to NASA the moon’s diameter can appear around 14 per cent bigger and can look up to 30 percent brighter than usual as a result of its nearness to Earth in its elliptical orbit. Lunar eclipses occur when Earth lies directly between the sun and the moon. As the sun shines behind it, Earth casts a shadow in space. When the moon passes through this shadow, called the umbra, we get a lunar eclipse. There are three types — total, partial and penumbral — with the most dramatic being a total lunar eclipse, in which Earth’s shadow completely covers the moon. This lunar eclipse will also be special because it is the fourth and final eclipse of a lunar tetrad: four successive total lunar eclipses, with no partial lunar eclipses in between, each of which is separated from the other by six lunar months (six full moons). Although these astronomical events can happen separately several time a year, this combination has only happened five times since 1900, with the last coming in 1982, Space.com reports. If you miss this one, you won’t get another chance until 2033! Where is the best place to observe this event? Both the “supermoon” and a lunar eclipse will be visible over most of North and South America. These are particularly exceptional astronomical events for city dwellers, as they are visible even in urban of areas. Normally, when cool stuff is happening in the night sky, many people miss it because of light pollution. But to see the moon all you need is nighttime and a clear sky. Of course, for the most spectacular view of anything happening in the night sky it is best to find a dark place away from city lights. 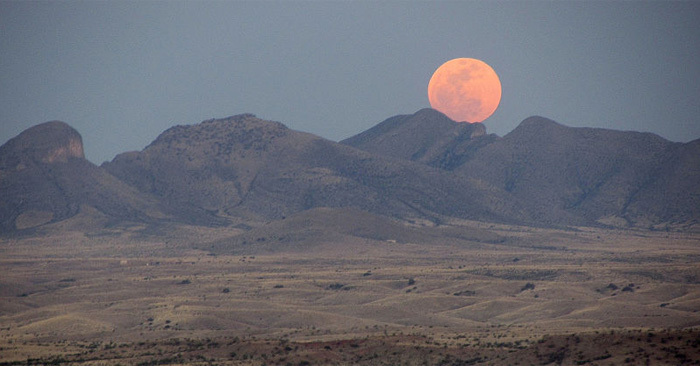 Black Canyon National Park: Total Lunar Eclipse Viewing. Call the Black Canyon National Park Visitor Center at 970-249-1914 for more information. The best time to view the Supermoon is right at moonrise (Moonrise chart). It’s going to look biggest and brightest when it’s right next to the horizon and the moon is right next to things that we’re familiar with, like trees and buildings.